Home » Coconut Water – As Good for your Health as you think? The trend started in Asia and then burst onto the Western market. Coconut water has become a hot health topic and a great marketing product. We cannot deny the fact that marketers have done a great job pushing us, the consumers, to drink more coconut water. A product that was almost unheard of 5 years ago is now available almost everywhere – from grocery and convenience stores, to restaurants and cafes. All of these places have seen a huge growth in the sale of coconut water based on the idea that it is more rehydrating than water, and better for us too. Having a sweet, nutty taste, coconut water is naturally refreshing. It should not be confused with high-fat coconut milk. 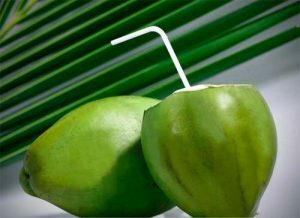 Coconut water is the clear liquid found in the center of young, green coconuts. At first glance, it sounds like the perfect beverage. It is rich in potassium, low in calories, and free of cholesterol and fat. On these factors alone it should be an in demand product but then we have a plethora of celebrities who swear by it as well. Although there are a multitude of claims as to how good coconut water is for your health, there are also many studies that state otherwise. Many people believe that claims made in favour of coconut water are overstated, and some even go so far as to recommend staying away from the beverage. 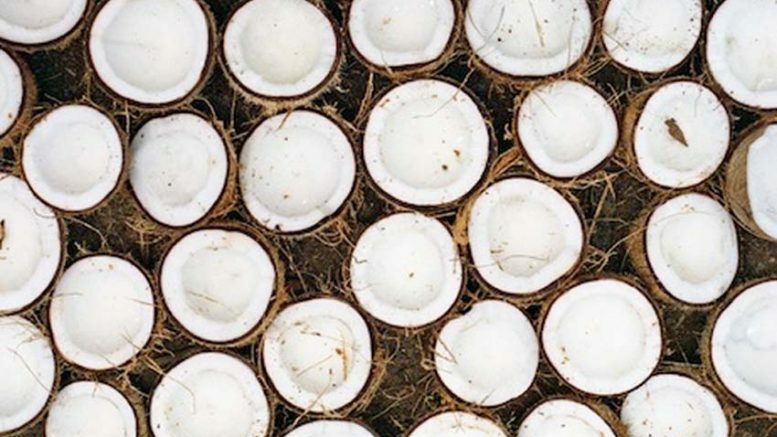 Because of this, we wanted to delve deeper into the world of coconut water and present our own research to you. Its not uncommon to see people at the gym sipping on coconut water, based on the fact that it replaces electrolytes that are lost through sweating. While some studies show that it does rehydrate better than water, it is not the best post-exercise drink available. If you only exercise lightly or moderately and you eat healthily, coconut water does not do much more than water when it comes to hydration. Even though it is low in calories and sugar unlike most sports drink, it does not replace as much lost sodium and potassium like some other sports drinks on the market can. Although having electrolytes is a plus, there is dispute over whether or not coconut water hydrates the average person better than water. To give some points to water, it contains 0 calories, while a cup of coconut water has 46 calories. Is it healthier than fruit juice? As a lot of people get bored drinking plain water, they opt for the more flavoursome coconut water. Coconut water has way less calories than fruit juice – if you drink it in its natural state. However, if you start adding sugar to it, the calories add up very quickly. If you do drink coconut water check to ensure it is free from any additives. Does it really help in the prevention of heart attack and stroke? As it is rich in potassium, coconut water has been believed to help counteract the effects of sodium regarding its pressure-boosting effects. Because of this, people also believed that it could help in the prevention of heart disease. There have been claims that coconuts are a ‘superfood’ and can prevent these health complications, but the potassium they contain is no different to that obtained from bananas or potatoes. Being rich in potassium is good, but no, coconuts are not the cure for any disease or health complication. Do coconuts really speed up your metabolism? Our metabolism starts to slow down as we get dehydrated. Whatever we drink will help in keeping our metabolism going. Marketers have put a clever spin on this to make consumers believe that coconut water will help them burn calories faster. This is not true. Everything we eat or drink boosts our metabolism temporarily as our bodies digest the food. There is no food that will increase our metabolism permanently. Exercise does increase our metabolism for longer periods, but food and drink does not. So, where does this put coconut water? It seems the general public are being told a number of well spun lies to encourage consumption in this billion dollar industry. While coconut water does have health benefits and is rehydrating and delicious, it’s not going to make you skinny, a super athlete, or stop any diseases. While we would choose cocounut water over any form of soda anytime, it’s not the miracle drink some companies claim it to be.